Today, the Oregon Legislature convened its 2016 short session. 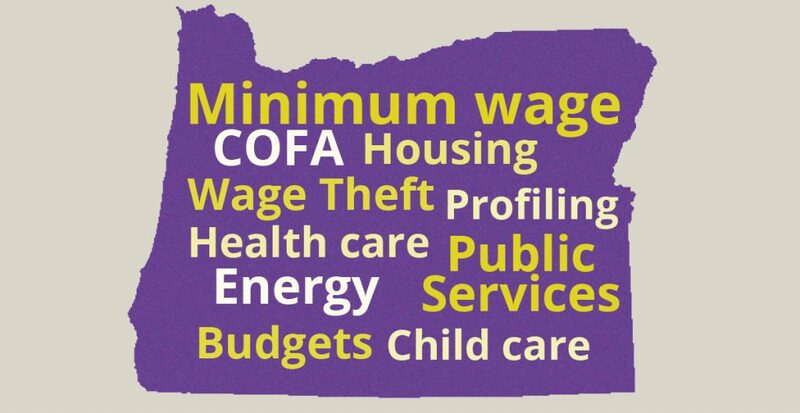 Over the next 34 days, our state will tackle many important topics, including the urgent need to raise Oregon’s minimum wage, increase access to affordable housing, and curb the widespread practice of wage theft. 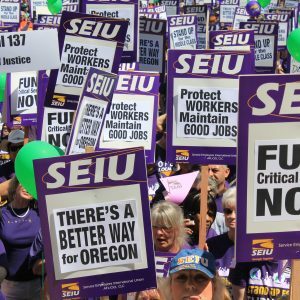 It’s tempting to focus narrowly on the work in front us — there is certainly a lot of work to do — but the 2016 session is best viewed as part of a larger narrative in which SEIU members, through our union, have made incredible strides to improve the lives of our families and our communities. Retirement Security: With the passage of HB 2960, people who previously had no access to retirement at work will now have a chance to save money for their future. Oregon is leading the nation by finding innovative ways to secure a bright future for our citizens. Paid Sick Leave: With the passage of SB 454, hundreds of thousands of people will not have to fear losing their job or their paycheck if they get sick. Defining Profiling: By taking the first step with HB 2002, the Legislature made progress toward ending the practice of profiling by law enforcement. Ban The Box: With the passage of HB 3025, a person’s past criminal history will no longer disqualify them from getting through the first round of a job application process. As we move into the 2016 session, we can carry this momentum forward and continue to make gains for Oregon’s working families. Our union’s top priority for the next 34 days is raising Oregon’s minimum wage. The current minimum wage is $9.25 per hour — roughly $19,000 per year before taxes for people who work full time. No matter where you live, that’s not enough to afford the basics like rent, bills and food. As the cost of living continues to rise, particularly in the Portland metro area, more and more people are getting left behind. By raising the minimum wage statewide and changing the state’s preemption law to allow local governments to set a higher wage floor, we can improve the lives of hundreds of thousands of Oregonians who are struggling to get by. Inclusionary Zoning: Lifting the ban on inclusionary zoning is a critical step toward addressing housing access and the rising cost of homes in Oregon. Overall, our union will prioritize efforts to deal with the rising cost of housing, particularly in Portland, and the negative effect that is having on low income families. Healthcare For All Kids: While the Affordable Care Act brought Oregon’s uninsured population to an all-time low, thousands of children still don’t have access to health insurance. Ending Profiling: While House Bill 2002 made profiling against the law, we still need to create a strong system for holding bad actors accountable and carefully track data that can help identify systemic abuse. Ending Wage Theft: We need to ensure that everyone is paid according to the law by giving more workers tools to end wage theft. Fixing Compact of Free Association: We need to fund the legislation passed during the last session to fix the gap in health care coverage for over 2,000 legal residents who are categorically excluded from Medicaid. 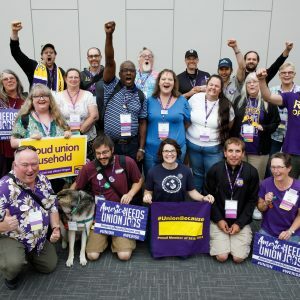 Strong Public Services: SEIU members provide many of the services that make our state great, and we know that a lot of good can be done when good programs are well funded. Our union will fight for a good DHS budget, as well as strong funding for public services across the board. The 2016 session is an exciting opportunity to make real progress on these issues. The time constraints of a short session may make it impossible for legislators to pass a bill on everything listed above, but we can lay the groundwork for policy solutions on the ballot in November or during the next full session of the Legislature in 2017. 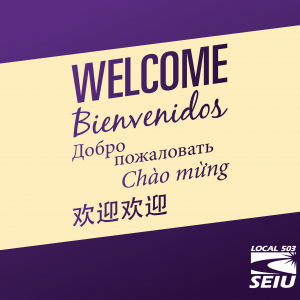 By standing together, SEIU members have made progress toward our shared vision of a just and vibrant society. We continue to stand together, and we have every reason to be excited about what the future holds in store.